-->Clay and Renee Crosse speak at various seminars and conferences nationwide promoting the message of their ministry HolyHomes. Clay also has an extensive concert and worship leading schedule. 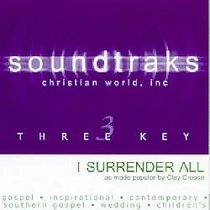 Clay is a three-time Dove Award winner including the 1994 New Artist of the year. He has had 9 #1 songs including ?I Surrender All ? ?He Walked a Mile? and ?I Will Follow Christ.? Clay and Renee reside in Memphis Tennessee with their four children Shelby Savannah Garrett (adopted from China in 2007) and Sophie (adopted from China in 2005).